I can't believe how close I am to finally meeting precious baby K. I am running through every emotion possible on a daily basis. I am really excited and really scared at the same time. When I got home from work (very late might I add) I saw the windows open in Kaleb's room and could see new paint on the walls. Aww. Dennis is amazing. He is still up there painting, it's going to be so cute! We are painting the walls light blue with a dark gray accent wall. I know he won't use his room for a long time, because I'd like to keep him near me at night once he can come home from the hospital as long as possible incase he has any emergencies at night, but I am so excited for the day he can use his room and sleep in there! I have a new sense of hope lately. Are things going to be tough and unbearable at times? Absolutely. But I have to have faith that things will also be great. Kaleb and I have great doctors and he is being born at a wonderful hospital with a GREAT NICU. Which reminds me, we still need to tour the NICU. I've already toured it for my job but that was nearly two years ago and of course now it's for personal reasons instead of professional. I've been extremely exhausted lately, just like the first trimester. I sit for hours (probably more like minutes) starring at the walls at work, or reading my mommy boards, or reading the news instead of actually working. I've just hit that "wall". I waddle everywhere and people have already started asking me if I'm due anytime soon or if I'm sure there is only one baby in there. Yes, this was my least favorite time with Nolan too. And I still have roughly 8 weeks left of hearing these things! I'm not looking forward to another c-section but I know it will be the most safe for Kaleb. I just hope I can get out of bed as quickly as possible (instead of a couple of days) so I can go see my baby. I remember when I had Nolan, he had to be taken to the intermediate nursery (a step down from the NICU) for breathing issues. He was there the entire first night of his life and most of the next morning. I was devastated. I called the nursery every three hours on the dot, which is when they would re-test him to see if he made a high enough score to leave and come to my room. I stayed up all night, calling every three hours, often crying on the phone with them. I couldn't get out of bed so I had to wait for him to be brought to me. Oh and when he was brought to me, that was the BEST feeling ever. That first night I made Dennis go visit Nolan often to make sure Nolan wasn't alone. I know this situation is going to be even harder because it's not going to be just for a night, so I'm trying to prepare myself the best that I can. Well it's nearly 9:30pm and when you have pregnancy related exhaustion that is pretty darn late. 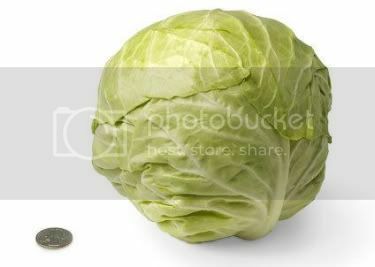 "Your baby's about 15.7 inches long now, and she weighs almost 3 pounds (like a head of cabbage). A pint and a half of amniotic fluid surrounds her, but that volume will decrease as she gets bigger and takes up more room in your uterus. Her eyesight continues to develop, though it's not very keen; even after she's born, she'll keep her eyes closed for a good part of the day. When she does open them, she'll respond to changes in light but will have 20/400 vision – which means she can only make out objects a few inches from her face. (Normal adult vision is 20/20.)" Baby’s Size: I have no idea, I'm sure at least 3lbs. He's always been a pretty big boy. We have our next growth scan in 6 days so I'll find out then! Total Weight Gain: I've stopped counting, but I think something like 14lbs, which is NO WHERE near how much I gained with Nolan, yay! Bellybutton: I think it has pretty much popped out. I don't have a huge belly button though so it doesn't really stick out, it's just really stretched and then a tip is sticking out. When I cough a lot it sticks far out...gross huh? Stretchmarks: Kaleb has definitely surpassed Nolan in the "amount of stretch marks given to mommy" category. Yuck! Movement: All over the place. He gets pissy at different positions I might sit in and hates when I go to sleep and kicks the side that is touching my body pillow. I often find his head in my ribs and have to poke him to get out of there, although that really doesn't work. He also jumps up and down on my bladder which feels like you are bursting to go pee and you have to squeeze really hard not to. I never had this feeling with Nolan, weird. Sleep: I wake up once during the night to go to the bathroom and then about 5-10 times to switch sides, which basically takes an army to help me move. I basically have to wake up, sit up, turn to the other side, pick my body pillow up from the other side, fall back down into bed, and maneuver my body pillow under my stomach. Dennis is losing sleep as well with all of the movement. Symptoms: EXHAUSTION!!! OMG...I forgot how it comes back the third trimester but damn. I forgot I could feel this tired. I just want to sleep all of the time, or stare at a wall when at work. Some VERY slight swelling in my left foot, nothing like what I had with Nolan though. Some nausea which is weird since I haven't had that for a couple months. ohh and the whole starving feeling again. just like being back in the first trimester, yuck! What I am Looking forward to: My birthday apparently is in a week, but with all of the appointments and worries I've completely forgotten that until a few days ago. I look forward to December 27th when my c-section had been set for. I look forward to the next growth scan in 6 days as well! Milestones: Only about 8 more weeks until I get to meet my little man, I've finally reached 30 weeks which everyone is surprised even happened! YAY! I want to write you letters so that when you are older you can read them and see what you were doing at certain times. You are finally walking. Well, for the most part. You aren't the most balanced baby which may have a lot to do with your ears situation. Don't worry, mommy will work really hard to get that fixed. Your speech also may be somewhat behind, again due to your ears. Mommy and daddy understand you though. You say "thank you", "doggie", "ohhhh", and of course the mama and dada that you've known forever. You LOVE poking at baby K in mommy's tummy and yelling. I'm sure you are aware there is a baby in there. You are the happiest baby I have ever met. I love seeing you in the mornings because you are so happy. I love picking you up from daycare because again...you are so happy. You make all the wrongs in the world alright for mommy. You LOVE to clean, I'm pretty worried about you being OCD but for now it's something you enjoy so I let you enjoy it (plus I get a clean house out of it). Sometimes I just look at you and cry. I want your life to be so wonderful. It hurts because I'm very scared that when Kaleb is born you will feel left out because baby K is going to need a lot of help and attention. I just hope you can look back on this journal and see how much mommy and daddy love you. I hope that having a special needs brother will make you more compassionate and understanding of others. I'm crying as I write this and you just looked at me and started dancing to the music that I have on and then hugged my legs. You are such a happy boy and I hope you stay that way. I love you bean! We found a new home for our basset hound, Sadie, this past weekend. I was surprised that I wasn't sad and didn't cry. I think it was because we found Sadie something equivalent to the "pent house" for us humans. She is now at a home with another basset female who is the same age as her, Mandy. Her new "mommy" has a beautiful home with doggy doors to the large backyard. Dennis and I have never even had a fenced back yard for Sadie. We've never been able to spoil our animals but we provide them with their basic needs. With Kaleb coming soon so much is unknown, it's not fair to animals (especially older animals who need a constant routine) to leave them home while we are in the hospital for days at a time and the medical bills don't help either. Sadie is very lucky to be where she is and I am SO happy for her. We speak with her new "mommy" often and she has promised to stay in contact with us and send us photos! Nolan is now semi-mostly walking. He will take several steps but then gets excited that he is walking and will drop to the ground, plus he likes crawling better I think so it's hard to get him to completely walk. I am so proud of him!! I set a goal for Nolan to be walking by Halloween (so he can get mommy some good candy of course) and it seems like he is right on target for that! My pregnancy has been going well. I don't think Kaleb is coming anytime soon, he is so comfy in there. A very dear friend of mine from college in Texas is actually flying out to see us in a month to throw us a shower for Kaleb. I feel very lucky, especially since we had a shower with Nolan and were not expecting to have another one for Kaleb. I really want this to be about Kaleb and a celebration of hope for him. I'm trying to think of neat ways to celebrate him or cute ideas to do during the shower (everyone bring books and write a small thing to Kaleb...something like that). I am now 28 weeks 3 days (the three days count okay?!). Kaleb will be here no later than the end of December...so only about 2.5 months left. Where does all of the time go? I'm starting to get more and more anxious about Kaleb arriving and the fact that I still don't have his room ready, any furniture for him, or even a friggin middle name. Ugh, what am I going to do? I'd really like his middle name to be Austin but it doesn't really go with our last name. Back to square one :) Kaleb is a mover and a shaker, definitely not lazy at all which just gives me so much hope that he will be a fighter from day one! Kaleb is all up in my ribs and plays hourly punching bag games with my bladder. I never had either of those with Nolan, strange. I think it might have something to do with the fact that Nolan was always breech and Kaleb has always been head down. It's a very weird feeling and sometimes painful. I'll try to keep this thing updated more often. Sometimes I neglect the caringbridge website on purpose, so I can focus more of the "normal" things in life but I need to keep this updated on all of the great things happening in our lives! Tall Dark and NOT Handsome! This morning we met with Dr. Peppy (my OB). He got the results of our last echo-cardiogram and was very happy with the news of no HLHS! He said he does recommend that I have another c-section instead of trying for a VBAC which I agreed with. I really REALLY do not want another surgery because I won't be able to get right out of bed and see my son in the NICU but I realize it is probably the safest route since there are still a lot of unknowns. He still wants to deliver at 39 weeks (unless baby K stops growing or something else crazy happens) which has us looking at a Christmas baby :) We got to hear baby K's heartbeat which sounded wonderful as usual and Dr. Peppy talked me into getting a flu shot. Now my arms hurts. Afterwards we left and went to Winnie Palmer to see one of the many perinatologists there. As I blogged about in my last blog I was excited to get the tall and cute perinatologist, but let me just tell you that he is actually not as cute as I remember and his arrogance and bedside manner completely decrease his "cuteness factor". I think his name might have been Dr. Leary or something. Also, we got a totally spaced out technician who didn't even leave the screen turned for us to see baby K while she took all of her measurements. I was pissed. She assured us during the scan that she would turn the screen so we could look at baby K at the end, which she did, but it was for MAYBE 30 seconds and then the tall but not so cute doctor came in at that time so I was trying to pay attention to him and the screen, it was annoying. Anyways-- Dr. Leary asked us a bunch of dumb questions that he should know had he READ my HUGE chart. Dr. Leary: Have you guys seen genetics regarding these issues? Dr. Leary: Have you met with Dr. Albright yet? Me: I don't think so but his name sounds familiar, who is he? Dr. Leary: He's the orthopaedic doctor. Me (and Dennis): No, we were told not to meet with him until after Kaleb is born. Dr. Leary: Oh well yeah, he can't do anything to help you until after he is born. Me: So why would you even ask?! --of course that's what I wanted to say. Anyways, they completed the scan and said Kaleb is 2lbs 3oz and right on target for weight. However, his arms and legs are measuring small/behind. Of course no explanation was given but that right now it’s not a big deal. So we continue with the monthly scans. Before leaving we managed to ask a couple of questions that Dr. Peppy had wanted us to ask...here's how that went. Dennis: Do we need to get non-stress tests done on the baby? Me: Is that something we get done at your office or somewhere else? Dr. Leary: Well...uhm...I'm not sure. Probably at your OB's office? Yeah, at your OB's office, talk to him about it. Dennis: Dr. Peppy wanted to know if a c-section at 39 weeks sounded alright or if it needed to be earlier for some reason? Dr. Leary: Uhmm....well. I've never seen you before right? (dr fumbles through my chart) I need to read what the other doctors have said about you to know for sure. The doctor fumbles some more, pretends to read a sentence or two and then says, "Yeah 39 sounds good. I mean...you don't want immature lungs on top of all of the other issues". Yeah definitely don't feel so positive about this interaction. At the end of the appointment they scheduled me with Dr. Locksmith, UGH. Another disaster waiting to happen. He was the first perinatologist we saw who did my amnio and then said, "I think your baby has trisomy 18, it's always fatal" and then basically left the room. I'm skipping ahead of myself. Before the end of my perinatologist appointment I asked the technician to please print me out some pictures of baby K's feet because I have a million face and profile shots but no one seems to want to print me any pictures of his feet. Well she focused in on something and then started typing "foot" into the machine on the picture to identify what she was looking out (kind of like how they do when they use an arrow to point out the gender). I look at Dennis and then looked back...FOOT? WHERE IS THE FOOT? His foot looked badly deformed. Then she moved on to the next image and typed "foot" again...which I guess was the other foot-- but still I couldn't make out anything that looked remotely like a foot. The only resemblance of a foot that I saw were toes...LOTS OF THEM. As in it looked like each of his feet had twenty toes on them. Yes, I over exaggerate a lot in my blogs and in my conversations that I put in this blog but seriously...there were toes...everywhere. And twisting. And feet that I had never seen before. So now a whole new worry. Yes I knew he had "opposite clubbed feet" and rocker bottom feet but this is a different level. I have pictures now of these feet and I don't think I'm going to scan them to add to this website because they are that bad. The whole reason I wanted pictures were to post on here so people would know what I'm talking about when I describe his feet. Maybe I’ll scan them and upload them once I get over the initial shock? Also, we just moved our computer and printer out of the extra room to start painting for Kaleb and Dennis hasn’t hooked the printer/scanner up so I’ve got to wait anyway. OH and on top of that his hands look bad as well. Normally when we have ultrasounds it looks like his hands are somewhat opened but today they were clearly closed shut and also look deformed. I’ll post those photos soon, bear with me. I go into every appointment with a set goal, "the left side of his heart will be bigger", "he will measure on target with his gestational age", "there will be plenty of amniotic fluid", etc. But EVERYTIME I come out with a different issue than the main one I went there for. On a positive note (because I really feel like I need some positivity somewhere in this post), Kaleb is measuring mostly fine. He is a chunker, just like Nolan was. AND he has a HUGE head…just like Nolan. Also, he is kicking me like crazy and insanely active, thank God for that! Oh and...I have come to realize something positive out of this entire mess of a situation...my relationship with Dennis has been strengthened. We have been through so much together, we are inseperable, he calls me and I get butterflies again. This has brought us so much closer and for that I am grateful. This is so much easier to tolerate with someone like Dennis by your side. Thank you Denny! I have got to find something to do today. I am stuck in the house for a second day in a row. It's too hot to take a walk or go to the park, going to the pool requires two parents and parent #2 is at work AGAIN. Just like he was yesterday and the past three weekends. I think he has MAYBE had two days off in the past three weeks. I know he's not trying to stay away from us but it makes things hard. It's getting very difficult for me to chase after Nolan, pick him up, or really do anything by myself with him. I never had such annoying pains during my pregnancy with Nolan. My stomach just...hurts. It is always sore. Nolan is getting into more things and really testing the limits today. And as I sit here (Nolan finally took a nap), Kaleb is kicking the living daylights out of my internal organs and contorting my stomach to weird positions. Very uncomfortable. If I bend at the waste Kaleb gets upset and lets me know it. I was also hoping Dennis would stay home today because it's getting closer to the time when Kaleb will be here and I am scared that once he is born our life as we know it will end. Yes I will be excited to have Kaleb with me but I am scared we won't take Nolan places, or go to the beach, or go to Sea World (we've had FREE tickets all year and have not once gone). It's getting to the point where I have severe round ligament pain if I walk too much so I'm getting the point where I won't be able to walk around Sea World all day, and Dennis is at work. Very frustrating. Let me stop writing and get out of this funk, I've got to find something fun going on in Orlando that I can take Nolan to without going into pre-term labor. Wish me luck! I've been letting things really get to me lately. I worry daily and sometimes I cry. I actually think I've done pretty well at keeping it all together, seeing as how I'm back to work and I don't burst into tears anytime a co-worker asks me about Baby K. But since our cardiologist appointment last week I can't help but worry. Don't get me wrong, the appointment went fabulously and we learned that baby K won't have the HLHS that we were so very concerned about, which makes his life expectancy increase but something else the doctor said. Dr. Fleishman said that the left side of my sons heart has caught up with the right side and they are now equal in size, but his heart is small all together. Of course we asked why and he said because Kaleb is now measuring small for his gestational age. Dr. Fleishman said his heart is in proportion to his small size now. I didn't dwell on it because a) we had just gotten married b) we had just been told that our son does not have HLHS and that is a MIRACLE and c) what does Dr. Fleishman know about size? He's a cardiologist, not my perinatologist who completes my growth scans. Maybe I also wanted to only hear the good things for once so I could enjoy my amazing day that I was having. But since then I can't help but worry. I was told that if Kaleb slows down in his growth or stops all together they will have to deliver him which is why I get monthly growth scans. Dr. Fleishman is a doctor and while he does not do growth scans to the point of telling me how much my baby weighs he is a DOCTOR and did take the most important measurements. I didn't even ask if Kaleb's femur (the main measurement they take) was the same size it was at my last echo cardiogram with the cardiologist or if it was smaller or if it was bigger, I should have asked. I should have asked. Because clearly if it was bigger that would have made me feel a little better at least. I was thinking last night that Dr. Fleishman's minor statement of my son measuring small was like a fleeting statement, one exactly like the technician who completed my 20 weeks gender U/S who said to us that a doctor would go over the results and if they needed to call me they would. That was a very minor statement but I said to Dennis and a friend of mine after leaving that it was odd for her to say that. Normally they just end it by saying, "Congrats! See ya later!". That phrase worried me a little bit but not much...until I heard from Dr. Peppy the next day. Now...in retrospect it makes sense why she said that. So now I wonder if Dr. Fleishman's statement is going to be the same kind of thing? A very minor statement with not much concern behind it, but it has a huge meaning for our lives and Kaleb's life. I had a dream last night that I went to my growth scan on Monday and the baby had stopped growing. I had to deliver that day and he was so very tiny. But his feet were not in the wrong place anymore, only some minor physical issues. I dreamt that his ears were VERY low set (common for this disorder) and that he had reallllly long brown hair. Not really sure what that's all about but I remember being ecstatic that his feet weren't sideways anymore. I am scared. I can't help but get scared anymore. With Nolan I worried over the dumbest things. With Kaleb there is reason to worry. So much is unknown. I still have no baby items for him because I am terrified he won't ever come home from the hospital. That would break me irrevocably. What would I do with all of the baby things in his room if he didn't come home from the hospital? I still can't believe that I have to live with the daily fear that MY baby won't come home from the hospital. I am so scared. I look forward to seeing Kaleb on Monday for the growth scan. I always look forward to seeing him, even if I'm terrified of the outcome of the appointment. Dennis and I sit there starring and almost not blinking trying to get a good glimpse of his feet and his face and his other body parts to see if a hand has opened up or a foot looks straighter, etc. So even though I am worried and scared and blah blah blah...I am excited to see my son on Monday. AND it doesn't hurt that the perinatologist that I think I am seeing this week is the really tall cute one! :) [sorry Dennis...love you]. I really should pay more attention to the quote at the top by Benjamin Franklin!